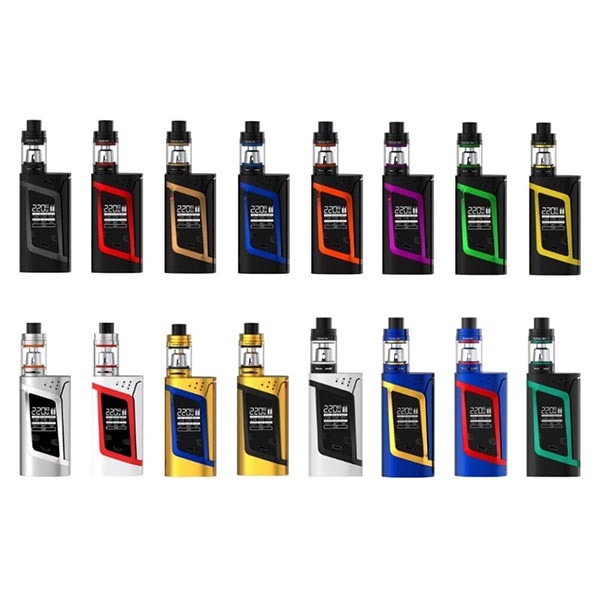 Are you looking for the cheapest place to buy the SMOK Alien kit? Then you are in a right place, on this page you will find best deals for this kit! The Alien kit is a legend, high wattage device from SMOK. It can fire your coils up to 220W, it is very ergonomic, well designed and very well performing kit. Some things simply don't have to change. The Alien kit is one of those. The SMOK Alien 220W Kit consists of Alien 220W mod and the TFV8 Baby tank. The Alien Kit is a legendary, high wattage kit from SMOK. It can fire up to 220W with just one click, probably that’s why it’s called alien. Because it’s so different from the other SMOK vape mod kits. In addition, it supports resistance as low as 0.06ohm. If that’s not enough, it has an amazing OLED screen. It will show you your vaping information. 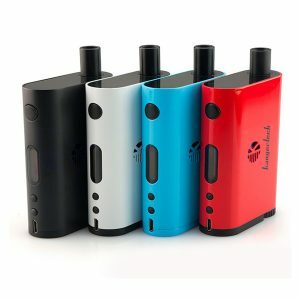 It will show you the coil resistance, puff counter, and your wattage. And it will also show you your battery capacity. So you don’t have to worry about the battery left and if its charged or not. Alien kit is made in many various colors, it’s almost impossible that you won’t find the perfect one! The shape of Alien became a benchmark for many other brands as it’s perfectly ergonomic: a rectangle prism with perfectly rounded edges. Mod dimensions are 85mm in height, 44mm in depth and 28.4mm in depth. 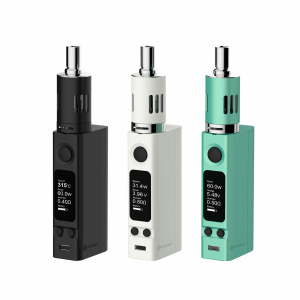 It is the only mod holding twin 18650 batteries which don’t feel too big for users with small hands. Side firing switch is very responsive and gives a satisfying click every time you press on it. Ventilation holes are placed at the top of front and at the back of Alien. At the top of the kit 510 connection with stainless steel thread, spring loaded 510 pin. On the base of the device is batteries door. It’s very easy to indicate the positive and the negative holes thanks to the signs on the inside of the battery door and in the bottom of battery holes. 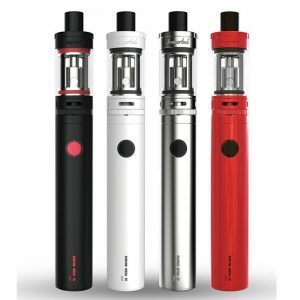 Smok Alien kit comes in a vast variety of colors, all of them are looking very good. An interesting point to mention is sealing rings: all O-rings are matching the color of the trim. This gives a very premium feeling for every color variation. Carbon fiber at the back with brand name Smok is looking solid. After pressing the fire button for five times you will turn on the kit and after few seconds display will show the main screen. The amount of information on the Smok Alien screen gives you all necessary data to control vaping experience at the highest level! On the top right corner, you will see wattage settings (or temperature settings if in TC mode), next to them is the letter indicator of your vaping mode. You can choose between soft, normal and hard. Next is battery life indicator. It shows the amount of power left in each battery (A and B) in live time. The rest of indicators will make even the most advanced vapers happy: voltage, ohms, amps, mode, board temperature and the puff counter at the bottom right corner. And the time counter in seconds for each puff at the very bottom of the screen. To enter the menu system you will press the fire button for three times. The first setting is “Mode”, after clicking one more time you will go to “Puffs”, next is “Setting” and finally “Power”. Hold the button on the selected setting to enter it. Mode: Here you can choose between wattage, temperature control, and memory modes. There are 22 memory modes for you to set your Alien for the different wire profiles. Puffs: you can adjust the puffs. Alien allows you to set a number of puffs for one session. Setting: for screen time adjustments (to save batteries life), lock it. The contrast of the screen can be adjusted too. Ohms can be adjusted in this menu section as well as the upgrade of firmware. Power: here you can turn the device off and on. From wattage mode: you can set up preheat settings by pressing fire and up button. After selecting preferred mode hit the fire button and the setting will be applied. In wattage mode holding the fire button and wattage down, you will be able to select mode: wattage, TC or memory. From the temperature control mode: by holding up wattage up button and pressing the fire you will enter the wattage setting menu. After choosing the right wattage, hold the fire button to save the setting. It’s one of the most convenient interfaces for TC vaping adjustments. By pressing the wattage down while holding the fire button you will enter the same setting as in wattage mode: select mode between wattage, temperature control, and memory. To lock the Alien you will hold up and down buttons simultaneously. Same for unlocking the device. Using Smok Alien menu interface is pretty straightforward, you will do it for few times and it becomes natural. If you have used any other Smok products like G-Priv, H-Priv, the menu will be something that you’re already used to. And the SMOK TFV8 Baby Beast Tank will bring you new experiences while getting huge and amazing clouds out of this baby. Catchy O-rings colors matching the trim makes this attractive tank even more pleasant to look at. It can hold up to 3mL e-juice and. In addition, it has an amazing adjustable airflow system, and it also has top refill system. Which is just amazing, you will be able to refill your tank without any difficulties. The tank is 22mm in diameter and is looking like an extension of the Alien, great combination!